Senior Rally Day attracts upwards of 500 seniors and advocates from around the state. Presented by the Seniors Count Coalition, this year’s march will occur on May 7 at the State Capitol. 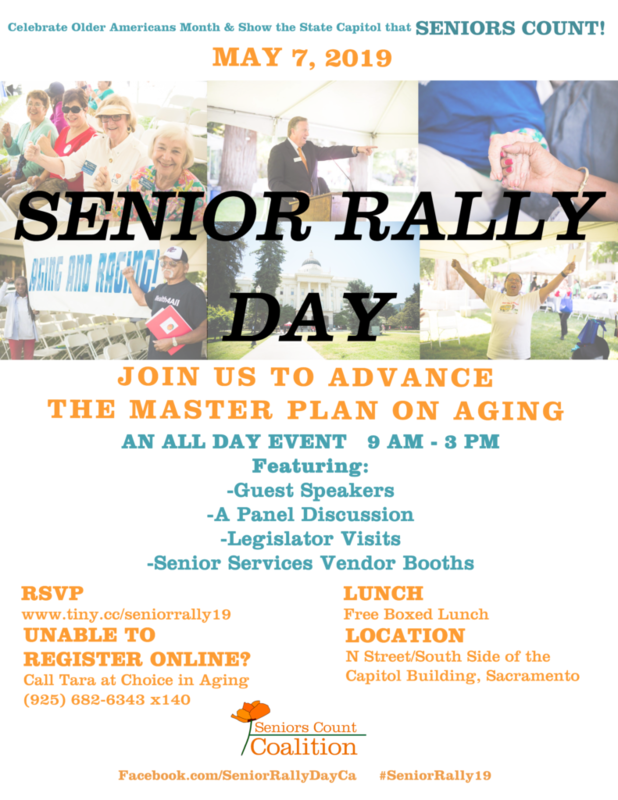 Choice in Aging is thrilled to host the 2019 Senior Rally Day page. As a part of the Seniors Count Coalition, we are dedicated to advocating for our elders to ensure their needs are met by the Legislature on every level. Senior Rally Day acts as a catalyst to bring together our aging community and its advocates to propel our state Legislature to establish and maintain our seniors’ rights.